Inspire yourself and others with our Keep the Faith coin purse. 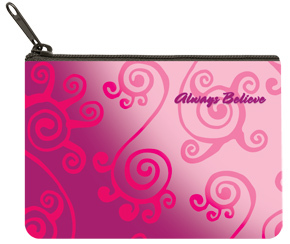 Featured on the coin purse is a whimsical pattern with a motivating message to Always Believe. Our coin purse is made from a silk blend material, and makes a perfect gift.